Welcome back to Toddler Approved Tuesday! Half-term madness is over….for another 6 weeks until it’s the big one – school summer holidays! We’ve had such a crazy half-term with lots of trips, extra kids and lots of fun so today we’ve been enjoying the sun and doing a lovely quiet activity. We made these Twinkle Twinkle Little Star canvases as some of my younger Tots are beginning to be able to join in the song with words and actions. If you are a blogger we want to see your posts (and you insta pics!!) 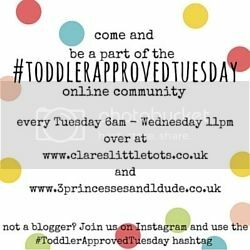 If you are a mum, carer, grandparent or Early Years worker we want to see your photos on Instagram and Twitter, you can join in by using the hashtag #ToddlerApproved Tuesday and we will repost a couple each week. You can use the hashtag as many times as you like! We would love it to become one of your regular hashtags!